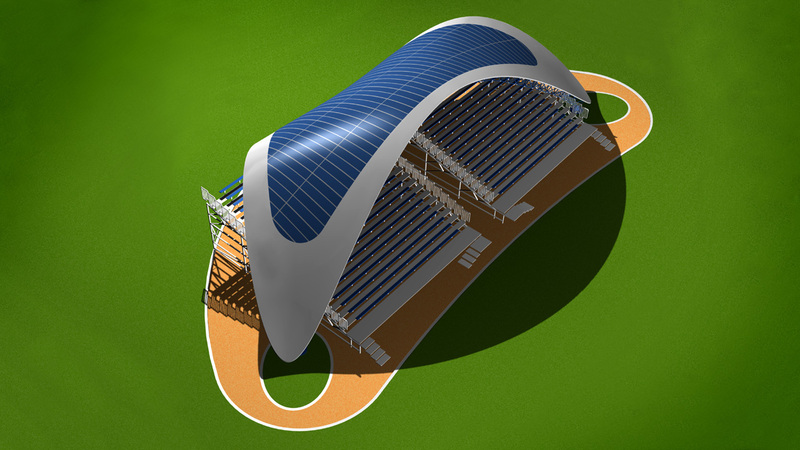 Created by the architect Giancarlo Zema, who has always had a fascination for the sea, Tail is the first ever modular roofing system for grandstands with an integrated photovoltaic system. 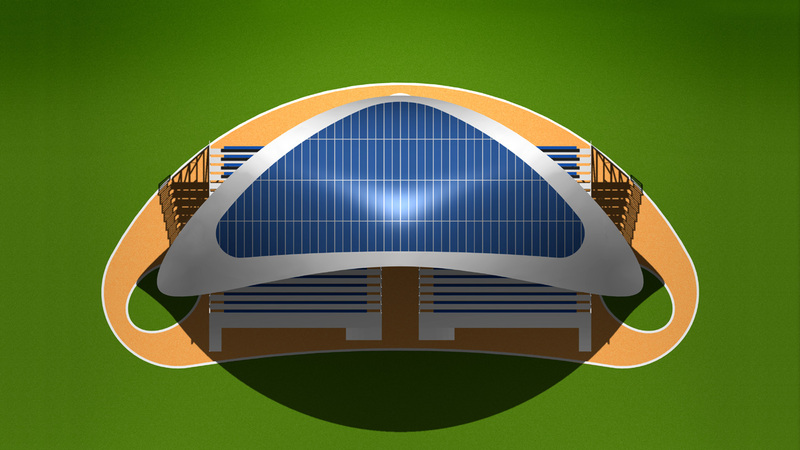 Inspired by the organic shapes of the creatures of the sea, Tail folds over onto itself like the large tail of a dolphin, creating a technological shelter. 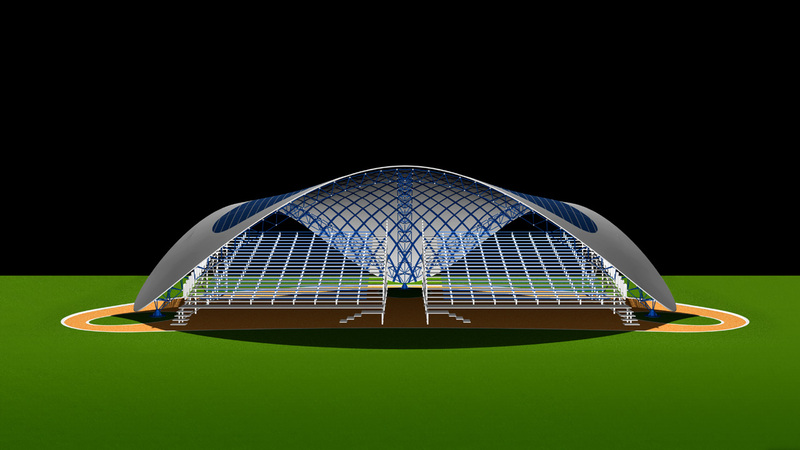 With its striking architectural feature, created with spatial structures with rods and nodes in painted steel, it is has the capacity to produce energy through the large photovoltaic roof surface with high-performance flexible amorphous silicon panels, fitted onto corrugated sheeting. What is more, Tail has a sophisticated integrated RGB colour-changing lighting system that means it is possible to create striking lighting and colour effects. 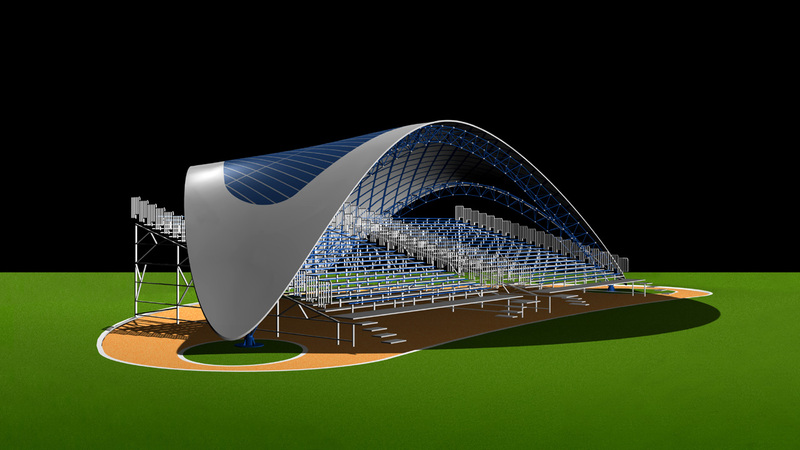 Tail is the perfect system for providing highly technological and elegant grandstand roofing for entertainment and sports events.